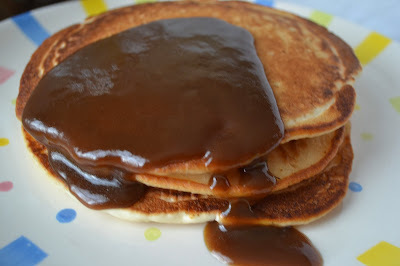 Ok, so this Maple Syrup, I like to call Pancake Gravy because it is a nice thick syrup that does not run all over the plate! It is perfect for dipping french toast sticks into also! 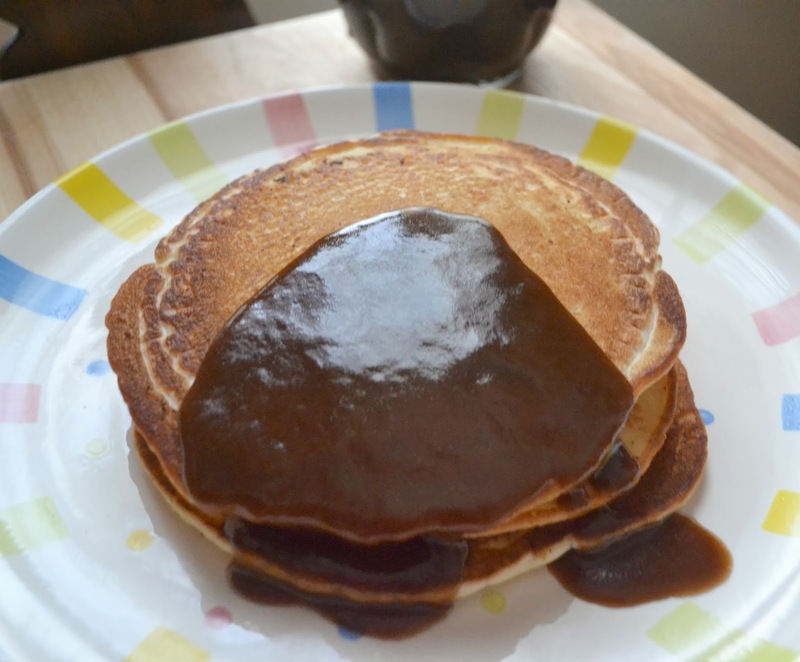 Besides the wonderfully warm homemade taste, I love how easy it is and how you can control the ingredients in your syrup! 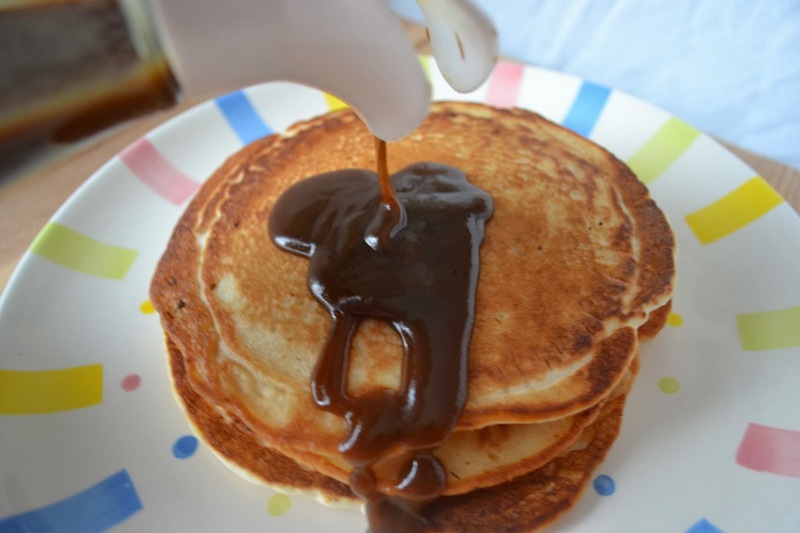 Not in love with thick syrup? That's ok, I'll show you how to make yours a little thinner. 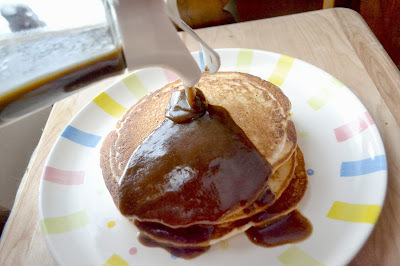 I first tasted this wonderful syrup when my college roommate made it for us one Sunday morning when we were all missing home. She shared her mothers recipe with us, and I''ve been making it ever since! In a mixing bowl combine brown sugar, flour, salt and cinnamon. mixing well. Slowly drizzle a little of the 1/4 cup of water, just enough to make the brown sugar mixture into a pourable paste. Reserve any of the remaining water and combine it with the other 1 3/4 cup of water for next step. In medium sauce pan boil remaining water over high heat. When water is boiling, turn heat to medium. Slowly add brown sugar paste, stirring as you add it till well blended. Let cook stirring frequently for 1-2 minutes, till sugar is dissolved. Add in butter/margarine, vanilla and maple flavoring. Let simmer 1-2 minutes till syrup is thick and warm. Jan's Tip: To make a thinner syrup, leave out the flour from the recipe. Hearing that syrup will be going up in price along with everything else; it's nice to be able to make our own so Thank You for posting this recipe. I am still trying to perfect a sugar free version for my diabetic hubby. But I do love making batches of this when all the kids are home! Lankanto Monk Fruit is a staple in my house. Its great for diabetes and tastes like sugar. A little pricey though. Its becoming more popular...hopefully the price will begin to drop in the future. We buy it thru Amazon. 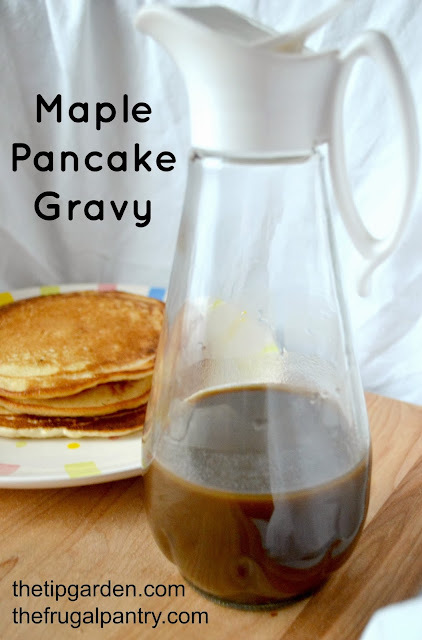 I've made maple syrup from just sugar, water, and maple flavoring before but now must try this! It sounds wonderful. Let me know what you think! I'd love to hear !